My passion was singing and performing! So, I would channelled my singing to force out all the "bad stuff" that was going on around her and converted them into "great, inspiring, positive and beautiful horizons" and created a place where she could focus on doing "great things" for the future! Even at a young age, I was always a "deep thinker". I refused to become a product of the scenario and situations that I could NOT change due to prejudices that surrounded me and was stedfast to maintain an optimistic, bright and upbeat disposition throughout to motivate me to do "great things for others". It wasn't easy one little bit! And having to go to school every day was terrifying for me! I LOVED school and learning but HATED having to confront the prejudice and racism that was an everyday occurrence. I was skinny, had fuzzy hair, dark skin and the only black child in my school! I was totally misunderstood at every step of the way, disregarded as person and ridiculed for absolutely EVERY part of my physical features! Almost on a weekly basis, I would have blooded scrapes on my arms and knees from being push down, patches of baldness in my hair as the girls...and boys would tear my hair from my head, I would be chased by kids and dogs on my way home from school and I even had one girl stick a sharp end of a lead pencil in my eye! There wasn't anyone at school to run too because even some of the teachers were unsympathetic to my plight. playing and totally ignoring my presence. I seldom told my parents of the harassment that I experienced as I really did enjoy going to school and yearned to know more about all the truly wonderful experience of what our world had to offer. So... I suffered in silence. However, in every dark cloud there IS a silver lining as the experiences that I had endured had allowed me to, at an early age, explore my love for writing and SINGING and all things creative and develop a little sanctuary of my own where I could be ANYONE I wanted to be! My adoration of singing, dancing and performing and would loose myself and be caught up in the rapture of my essence! Singing and writing stories and songs became my creative outlet on the days when the tears would flow from the injustices of my environment. Singing and performing became my Savior and gave me an insight into see the beauty and awesomeness of life and the world and, I suppose, in my early years, also allowed me to forgive the people that made my life so sad". 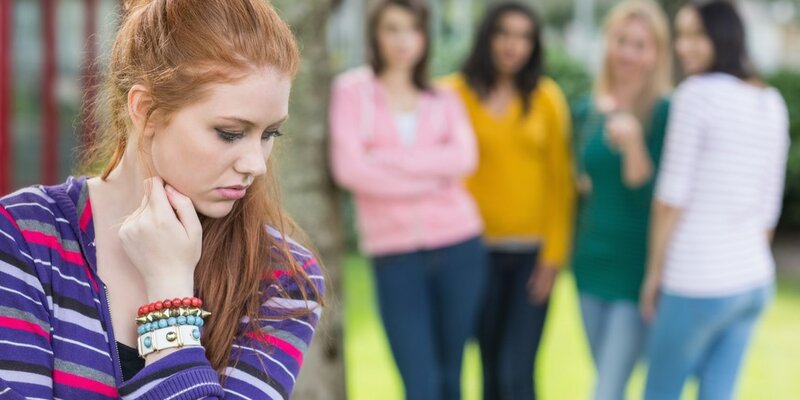 Bullying is a distinctive pattern of harming and humiliating others, specifically those who are in some way smaller, weaker, younger or in any way more vulnerable than the bully. Bullying is not garden-variety aggression; it is a deliberate and repeated attempt to cause harm to others of lesser power. It's a very durable behavioral style, largely because bullies get what they want—at least at first. Bullies are made, not born, and it happens at an early age, if the normal aggression of 2-year-olds isn't handled well. Many studies show that bullies lack prosocial behavior, are untroubled by anxiety, and do not understand others' feelings. They typically see themselves quite positively. Those who chronically bully have strained relationships with parents and peers. Electronic bullying has become a significant problem in the past decade. The ubiquity of hand-held and other devices affords bullies any-time access to their prey, and harassment can often be carried out anonymously. Individuals who can fall prey to bullying may also be targeted because of their fashion trends too. Bullies couldn't exist without victims, and they don't pick on just anyone; those singled out lack assertiveness and radiate fea long before they ever encounter a bully. No one likes a bully, but no one likes a victim either. Grown-up bullies wreak havoc in their relationships and in the workplace. Increasingly, children are growing up without the kinds of experiences that lead to the development of social skills, and free play has been in decline. Yet, it's in playing with peers, without adult monitoring, that children develop the skills that make them well-liked by age-mates and learn how to solve social problems. Did you know that, according to the American Academy of Child and Adolescent Psychiatry, close to half of all children will experience school bullying at some point while they are at primary or secondary school. At least 10 percent of children are bullied regularly. Child bullying is a serious problem in schools around the World, and can leave lifelong and traumatic emotional and mental damage to a young impressionable child. 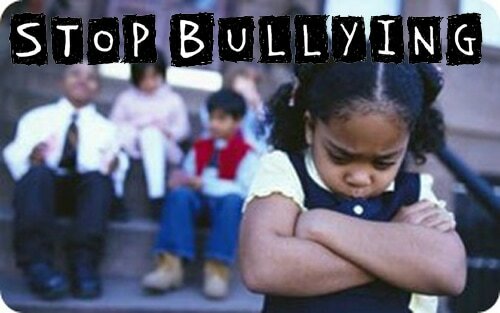 Child bullying can seriously harms the healthy growth of a youngster and also damage their own self-image, confidence, the way they see themselves and, most sadly, the way in which they see their own selves in their community and in the world at large. Children who are bullied can be stunted emotionally and socially, as well as see their schoolwork suffer. In some cases, serious depression and attempted suicide can result from childhood bullying. MISS TEEN DREAM USA was created by Audrey to act as a safe haven for girls of all background, experiences, socio-economic circumstances and from every walk of life to come and feel loved, understood and, most importantly, CHERISHED! Cyberbullying is defined as aggression that is intentionally and repeatedly carried out in an electronic context (through e-mail, twitter, instagram, text messages) against a person who cannot easily defend him- or herself. (e.g., Kowalski, Giumetti, Schroeder, & Lattanner, 2014). ​Research also reports that teen girls are more likely to use social media to communicate, which could expose them to more negative outcomes such as cyberbullying (APA, 2017). what are the symptoms of bullying? According to a research study (Kowalski, Giumetti, Schroeder, & Lattanner, 2014), cyberbullying is linked to anxiety, depression, substance abuse, difficulty sleeping, lack of concentration increased physical symptoms, decreased performance in school, absenteeism and truancy, dropping out of school, and, suicide. ​The Stress in America survey also found that parents of teen girls were significantly more likely to report that they worry about the influence of social media on their child’s physical and mental health (69 percent, compared to 39 percent of parents of teen boys). Being a victim of bullying from a young age was a powerfully traumatic experience. However, for me, it taught me how to have a sense of control of my own ability to become angry or reciprocate the same behavior to others. I knew that what was being done to me was horrible so, in turn, I developed a nature and characteristic that would champion those who experienced similar to me. I learnt to stand up to the bullies - even if it ultimately meant that I would be hurt in the process. The first time I fought back, I noticed that, after this, that the attacks became less frequent and, eventually, they did not come back. I learnt to have a sense of how I was and recognized that those bullies who perpetrated such deeds against a person could be ignorant to other who may look different, have different cultures, religions and races, or who came from varying socio-economic backgrounds. There are a number of ways to cope with the sadness, anger, fear, and isolation that can accompany bullying. This can be something as simple as counting to ten or thinking of your favorite, happy memory. However, in all instances, It’s important that you identify coping strategies that work for you: think about what makes you happy or calms you and try to incorporate those things into your life. For me, I had the opportunity to delve into the realms of dancing and singing and this allowed me to enter my "Happy Place"
In the moment, use strategies that help you act appropriately and feel better. It can be a mantra you repeat to yourself or taking calming breaths. In the long term, there are a number of ways we can help ourselves cope with the feelings bullying creates: exercise, watching funny movies, talking to friends, playing with the family pet… Find something that works for you and if it helps, even make a list of those things so you can remember all of the activities you’ve found helpful. It might be easier if you talk to someone you know well and trust. This person can give you much needed support and might have suggestions for dealing with the situation that you might not have considered. Share you experiences, struggles and emotions with others. Please find below a brilliant website - ReachOut - that can help you connect with others who may share the same experiences as you. If you decide to talk to a teacher or counselor, you might feel more comfortable taking a friend with you. If you feel you might get too nervous to speak, write down what you’d like to say on paper or in an e-mail. Don’t feel ashamed about coming forward- teachers and counselors are there to help. If you think that the person you’re speaking with doesn’t believe you, or isn’t taking you seriously, or if that person doesn’t help you take action, it doesn’t mean that your feelings aren’t valid or that the bullying should continue. It’s important you tell someone else and continue to do so until you get the help you need. Being bullied can be upsetting and stressful, and it can affect your life in many different ways, including your self-esteem, relationships, work and education. If you are feeling particularly overwhelmed, it is important that you seek help from a mental health professional such as a social worker, psychologist, or psychiatrist. There is no shame in asking for help.